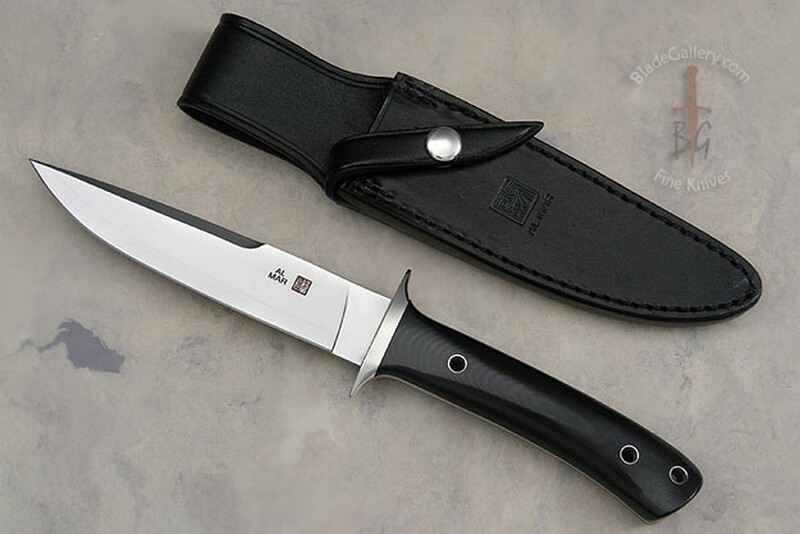 Description: Shiva is an original Al Mar design and it is the first tactical fixed blade they made with a laminated VG-10 stainless super-steel blade. Laminating the VG-10 between two layers of 400 series stainless steel increased the lateral strength of the blade by over 30% and does so without increasing the weight or bulk. 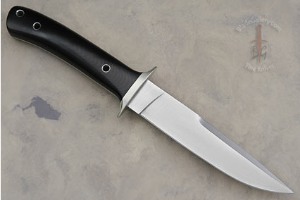 Shiva has a meticulously tapered tang and blade for optimal balance and contoured, polished black Micarta scales for a sure, long lasting grip. 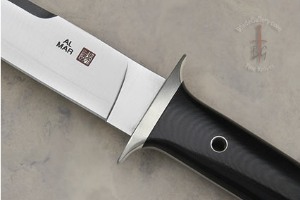 It is clearly the finest quality tactical fixed blade ever made by Al Mar and one of the best found anywhere. The knife comes boxed and is accompanied by a leather sheath.